The Real Solutions by Knape & Vogt 14-inch white sink front tray turns a false-front panel into usable space (false-front panel not included). A great way to utilize wasted space in the kitchen. Designed for use with either scissor or euro-tray hinges (sold separately). 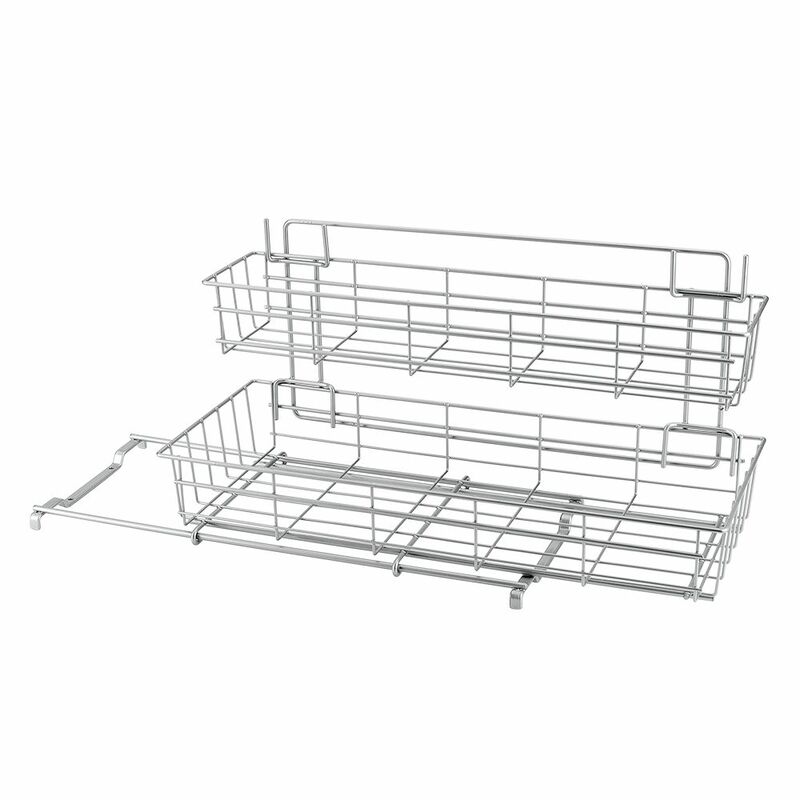 Polythem - Limpio Under Sink Sliding Baskets 20 X 50 X 28 CM Metaltex offers a wide assortment of kitchen organizers. In the kitchen Metaltex organizers are the best multipurpose organizers that ease the carrying of the many things that you always need on hand. Products coated in Polytherm <sup></sup> : the exclusive Metaltex anti-rust and dust coating. Made in Italy with hard-wearing materials to stand the test of time. Polythem - Limpio Under Sink Sliding Baskets 20 X 50 X 28 CM is rated 5.0 out of 5 by 1. Rated 5 out of 5 by Cleo from Maximize storage Installed this unit under the kitchen sink to organize products. It pulls out so everything I’d easy to find.